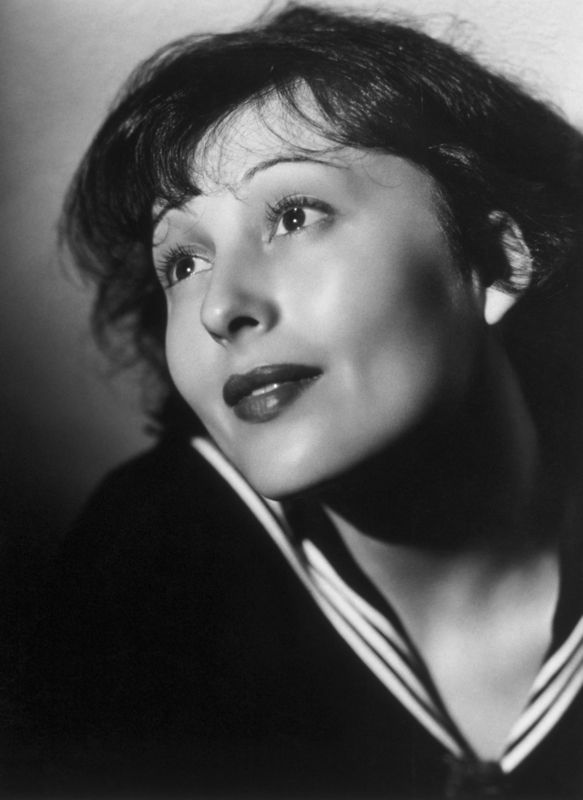 Luise Rainer, who left Nazi Germany for Hollywood and soared to fame in the 1930s as the first star to win back-to-back Oscars, then quit films at the peak of her career for occasional stage work and roles as a wife, mother and mountain climber, died on Tuesday at her home in London. She was 104. The cause was pneumonia, Ms. Rainer’s daughter, Francesca Knittel Bowyer, said. Ms. Rainer was a child of middle-class Jews in Düsseldorf and Hamburg during World War I and came of age in a new Germany of depression, starvation and revolution. Under Max Reinhardt’s direction, she became a young stage and film star in Vienna and Berlin, performing Pirandello and Shaw. She watched the Reichstag burn in 1933 and heard Hitler on the radio. In 1934 an MGM scout signed her to a contract. via Luise Rainer, Award-Winning Actress, Dies at 104 – NYTimes.com. First I’ve heard. Saddened to hear. Oh my, this made me sad. But somehow to hear it from you was a comfort. I was oddly downcast when I saw that Ms Rainer had died. Yes, she was 104 but I hoped she would just keep on living. Silly I know! Still she had a good long life and saw so much. R.I.P. Oh, and I was very sad and shockedto hear of another passing in what was an often terribly sad year, that of Edward Herrman. Probably known to many people of my generation as the apparently benign love interest of Dianne Wiest who turns out to be the King Vampire (!) in The Lost Boys and as the patriarch in The Gilmore Girls, he was an extremely busy actor on stage, and both the small and big screens. He played Franklin Delano Roosevelt several times and was, to me, always a welcome presence with a distinctive appearance and broad acting range. I remember him best for a quietly brilliant performance as a physician who cracks under the ceaseless strain in Heal Thy Self, an episode of M*A*S*H from its problematic eighth season (tho’ compared to its fatigued ninth and tenth seasons, and much of its last, it looks good!) , which despite an abysmal comic subplot and rushed treatment of the A-story is rendered powerful by Herrman’s character (and, for once, the sanctimonious post-Gelbart Hawkeye is shown to be less than insightful!) and performance, and for his portrayal of a priest whose idealism turns for a time to despair in St Elsewhere’s painfully beautiful two-parter, Time Heals. Another fine actor from a generation of them is gone, taken from us to soon – he was 71 – by a dreadful disease. He will live on in movies and television, and in the memories of his family, friends, and those who saw his theatrical performances. Rest in Peace, Edward. P.S. There is an interview with Mr Herrman for a Random Roles article at The AV Club from 2012 in which he discusses amusingly his career, I recommend it. Well, it’s a great comfort to me to hear of a beloved movie star who lived much longer than anyone can expect to, and had a successful and fulfilling life. Most of the stories – and deaths – of classic film stars are much sadder, and shorter. This is a case of someone who made it all the way to the finish line, and deserves a hearty cork pop and champagne toast. Yay, Luise! You did it!